"We have pitched in and signed players that we think give us a chance to push for Champions League." 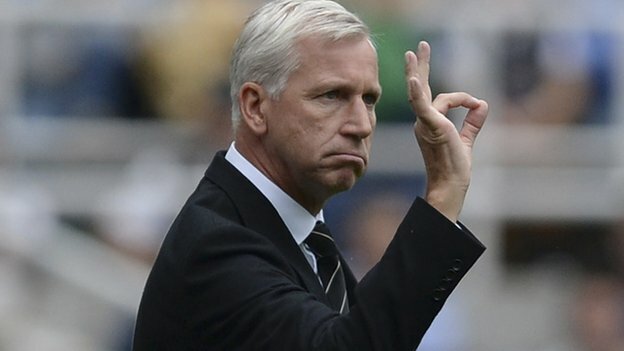 (Alan Pardew, 26th July 2014). Less than two weeks ago, Alan Pardew insisted that Newcastle were targeting Champions League qualification looking ahead to the forthcoming season. Having spent over £30m on NINE new signings at the club, he believed that a top-4 finish was certainly within the club’s reach, and that it would be unambitious to expect anything less than that. However, this morning, speaking to the Sky Sports News team at the club Open Day training day session, he has stated bizarrely that he would be happy with 48 POINTS. No team in the history of the Premier League has ever qualified for the Champions League from the Premier League with 48 points. Looking back at previous seasons, and the points tally of Premier League teams serves to demonstrate just how contradictory Pardew’s statements were. Considering Mike Ashley has injected near on £40m in what has been the most productive transfer window in a very long time, for Pardew to say he’d be satisfied with less points than last season is bizarre. There has been an unfamiliar but undeniably exciting buzz surrounding the club this Summer, and it is very disappointing to see the manager of our team setting such low targets, when we have reason to be so positive. For a man who has in the past self-fashioned himself as an eloquent and personable manager, he has a habit of saying the wrong thing. Either way, this is his first gaff of the season. Let’s hope it’s not a sign of things to come. What do you reckon our ambitions should be for the forthcoming season?